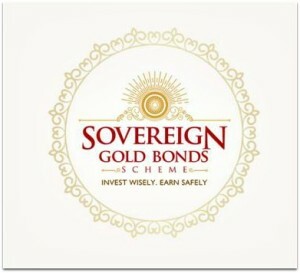 Latest Sovereign GOLD Bonds Issue FY 2018-19 | Should you Invest? The Reserve Bank of India, in consultation with the Government of India, has decided to launch latest Sovereign Gold Bonds Issues – Series-II to Series VI (FY 2018-19). Applications for the bonds will be accepted from 15th October, 2018 to 8th February, 2019. The Bonds will be issued on the succeeding Tuesday after each subscription period. The Gold Bonds scheme was launched in November 2015. Applications for the latest ‘Sovereign Gold Bonds Scheme’ will be accepted from October 15, 2018 through banks, Stock Holding Corporation of India Limited (SHCIL), designated post office branches and stock exchanges (BSE & NSE). Latest Issue Subscription dates : 15th Oct, 2018 to 8th Feb, 2019. Public Issue Price : Price of Bond will be fixed in Indian Rupees on the basis of simple average of closing price of gold of 999 purity, published by the India Bullion and Jewellers Association Limited for the last 3 working days of the week preceding the subscription period. The issue price of the Gold Bonds will be Rs 50 per gram less for those who subscribe online and pay through digital mode. The latest Sovereign Gold Bonds 2018-19 (Series VI) will be opened for the period February 4-8, 2019. The issue price of the Bond during this subscription period shall be Rs 3,326 (Series V was priced at Rs 3,214 per gram) with settlement on Feb 12, 2019. The Government of India in consultation with the Reserve Bank of India, has decided to allow discount of Rs 50 per gram from the issue price to those investors who apply online and the payment is made through digital mode. For such investors the issue price of Gold Bond will be Rs 3,276 per gram of gold. Redemption Price : The redemption price will be in Indian Rupees based on previous 3 working days simple average of closing price of gold of 999 purity published by IBJA (Indian Bullion Jewelers Association). 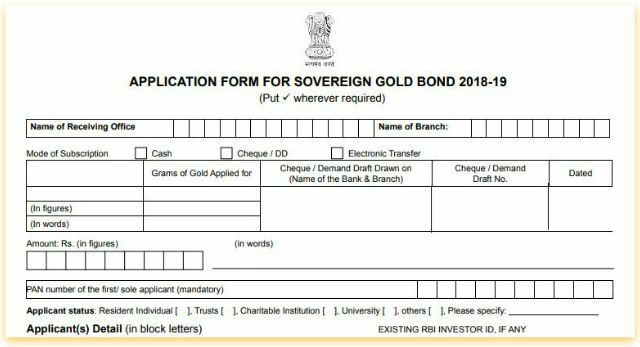 Click on the below image to download Gold Bonds Application form 2018-19. The biggest disadvantage of Gold bonds is lack of liquidity. The lock-in period is 5 years. Though you can sell the bonds on stock exchanges, the liquidity is very tight and that is the reason why you can see most of the previous SGBs are offered at Discounted price as below. If there are uncertainties across the globe, trade-wars between the Nations and if the geo-political risks are high generally, the Gold prices tend to increase. Investors tend to take refuge in assets like Gold. But, do note that interest rate hikes by the USA is negative to Gold and hence the Gold prices have not been increasing internationally. The US dollar is king now and this may bring international gold prices down. However, its impact will be limited in India due to the fall in the rupee’s value. 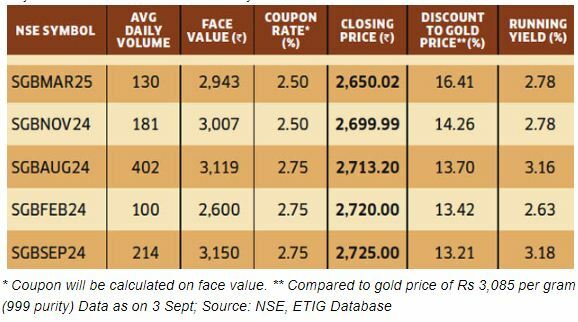 Can one buy gold bonds considering a good bet against FD’s? Gold prices have become very volatile, sometimes more volatile that Equity markets. So, let’s not compare Gold with FDs, where you get fixed and guaranteed rate of interest. As usual, well written article and waiting for it. I did invest in SGB 3 to 8 and I’m at loss for more than 10%. I’m receiving 2.5% interest on each tranche, its bit consolable. But the amount of loss is more. The timing of SGB launch is during festive where the gold price is always high. So I strongly believe that if we want gold as an investment then this is not a correct time to buy SGB or even physical gold. Wait for off-season & buy some. Liquidity wise, ETF scores more than SGB. IMO, ETF is better off than SGB. Jan/Feb can be an off-season?? It is always advisable to buy it from secondary market (NSE Demat account) as all the existing SGBs are traded atleast 10% to 20% discounted rate. To trade in it you should have an Demat account from NSDL depository.